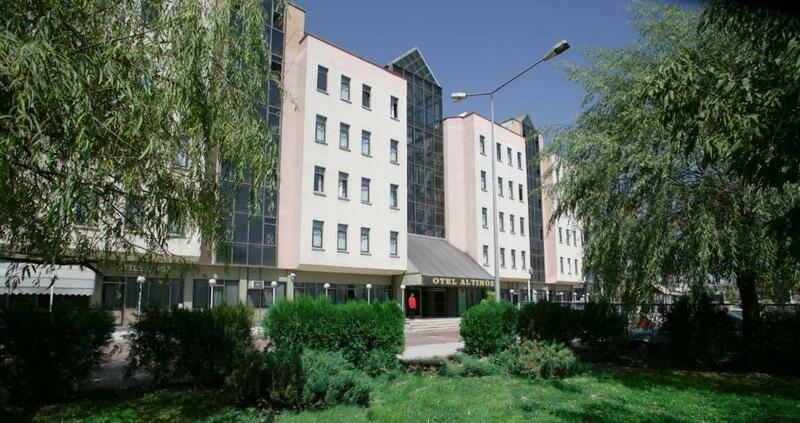 Offering a spa centre and sauna, Altinoz Hotel is set in Nevsehir, 12.4 miles from Urgup Town Centre. Goreme Open Air Museum is 8.1 miles from the property. The hotel has a sun terrace and views of the garden, and guests can enjoy a drink at the bar. Antik Stone House offers free parking, non-smoking accommodation and a garden. The accommodation units come with a wardrobe, heating, a flat-screen TV, a kitchen with a fridge and an electric kettle, and a private bathroom with a shower and a hairdryer. Highly rated for cleanliness Avanos Suites is located in Avanos district of Nevsehir, just 450 yards from Kizilirmak River. The property is has a terrace. Free WiFi and a 24-hour front desk are available in the property. Featuring free WiFi throughout the property, Caldera Hotel is located in Uchisar, 100 yards from Uchisar Castle and Fairy Chimneys. The hotel has a sun terrace, and guests can enjoy a meal at the restaurant. Free private parking is available on site. 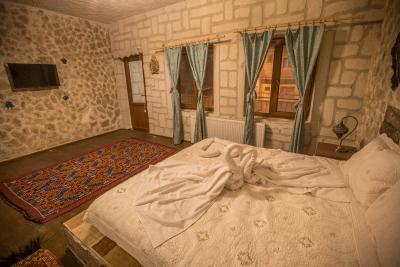 Cappadocian Special House features rooms in Goreme. The accommodation provides airport transfers, while a bicycle rental service is also available. 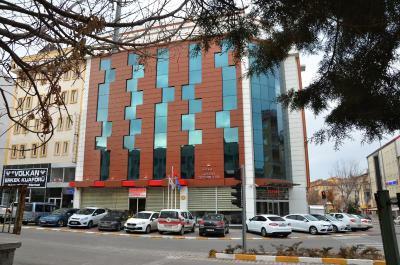 Casablanca Garden Hotel is situated in Nevsehir, 7.5 miles from Urgup Museum. Featuring a 24-hour front desk, this property also provides guests with a seasonal outdoor pool. Attractions in the area include Tatlarin Underground City, 21.1 miles away, or Goreme Open-Air Museum, set 5.6 miles from the property. Nestled among the valleys, churches and fairy chimneys of the town, Cave Art Cappadocia is built in a restored stone structure protecting its origins. It offers a terrace restaurant with panoramic views over the town and soundproofed rooms. 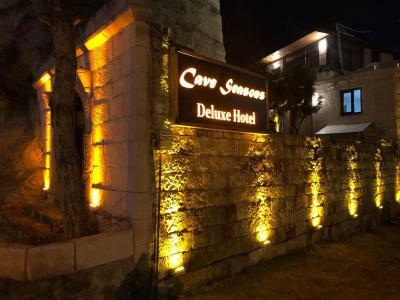 Highly rated for cleanliness Set within 4.3 miles of Urgup Museum in Nevsehir, Cave seasons deluxe hotel features a seasonal outdoor swimming pool and a garden, as well as free WiFi. 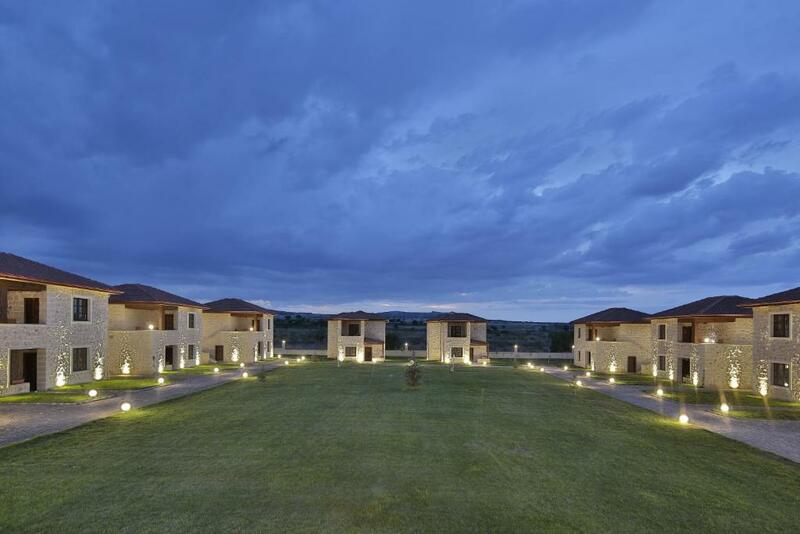 The property has a bar, as well as a restaurant serving Turkish cuisine. The tour desk is available to assist guests in planning their days out. 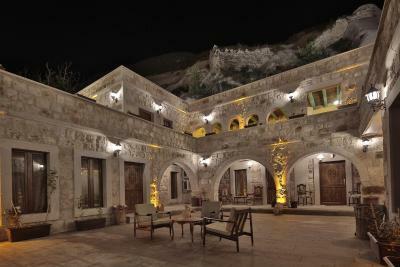 Offering a restaurant, Elevres Stone House Hotel is located in Nevsehir. Free WiFi access is available. This property offers non-smoking rooms and an airport shuttle. 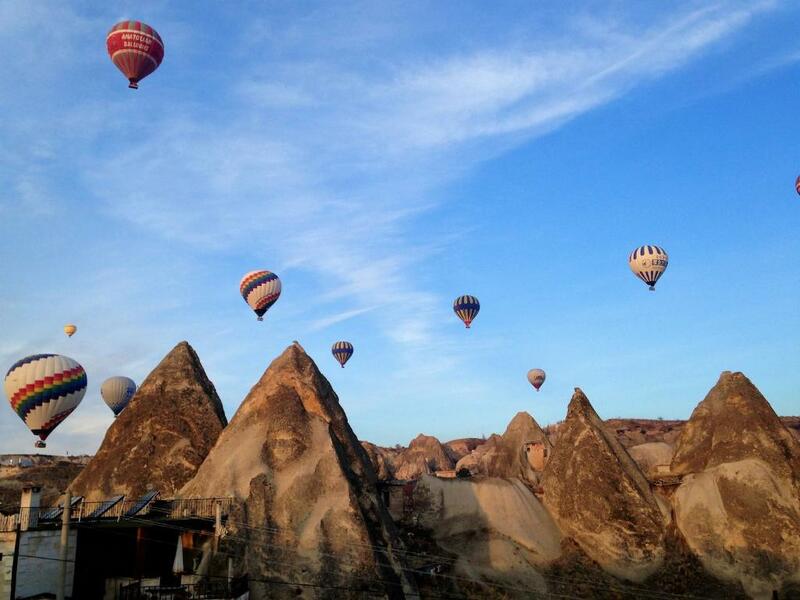 Situated in Goreme, Empire Cave Hotel provides free WiFi. The accommodation features a 24-hour front desk and luggage storage space for guests. 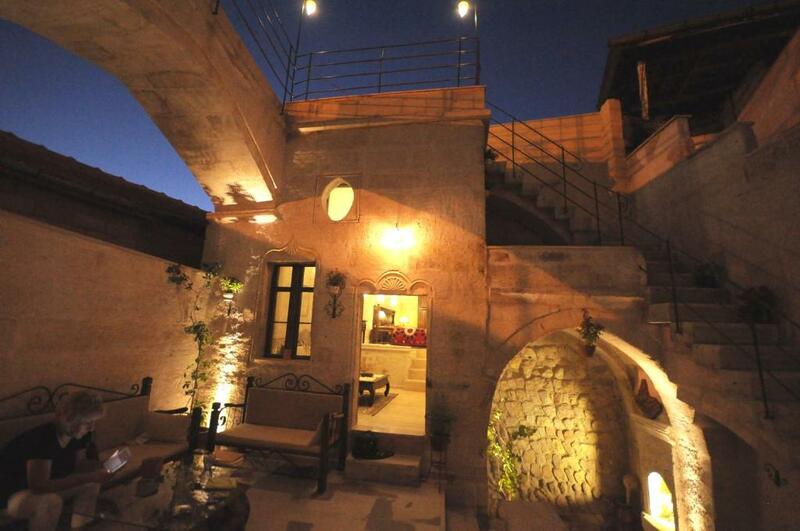 Esbelli Evi Cave Hotel is located in Urgup. 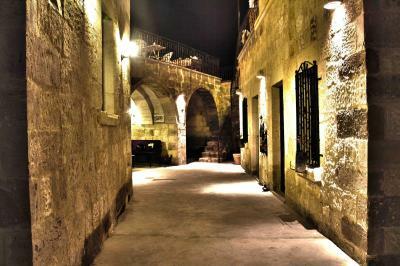 It offers air-conditioned rooms featuring vaulted ceilings, exposed-stone walls and free WiFi. Highly rated for cleanliness Set in a building made of stone, Gaferli Stone House is located in Goreme National Park. Free WiFi access and a 24-hour front desk are available. Boasting a terrace and free WiFi, Gamirasu Village House is located in Ayvalı. Among the various facilities are a shared lounge and on-site dining. The accommodation features a 24-hour front desk and room service for guests. 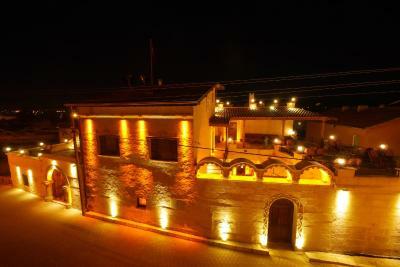 Set 550 yards from Nevsehir Museum and Nevsehir Town Centre, Grand Ozturk welcomes guests with a restaurant and bar. Guests can enjoy the on-site restaurant. Free WiFi is available throughout the property. One of our bestsellers in Goreme! 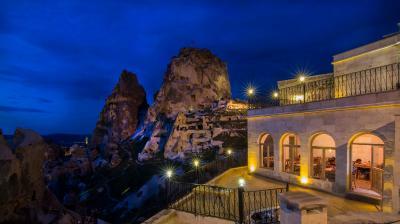 Set in Goreme, 2.2 miles from Kapadokya, Guzide Cave Hotel boasts air-conditioned rooms with free WiFi throughout the property. The hotel has a barbecue and terrace, and guests can enjoy a meal at the restaurant. Highly rated for cleanliness Boasting a terrace, Hanımkız Konagı is located in Avanos, 6.2 miles from Özkonak Underground City. A tour desk can provide information on the area. 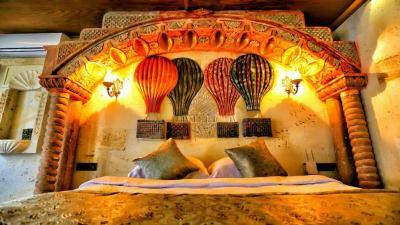 Hasan Cave House offers free WiFi, an airport shuttle and a garden. 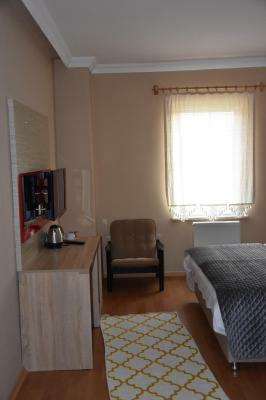 The accommodation units come with a wardrobe, a seating area, heating, and a private bathroom with a shower and free toiletries. Highly rated for cleanliness Boasting a garden, Hera Cave Suites is situated in Goreme. Featuring a 24-hour front desk, this property also provides guests with a sun terrace. The accommodation offers a hot tub, ticket service and free WiFi. One of our bestsellers in Uchisar! Located only 50 yards from Uchisar castle, Hermes Cave Suits offers spectacular views of Uchisar and Pigeon Valley. The lively town centre of Uchisar with restaurants and colourful shops are just a few steps from the hotel.